Thinking of starting up a business online? 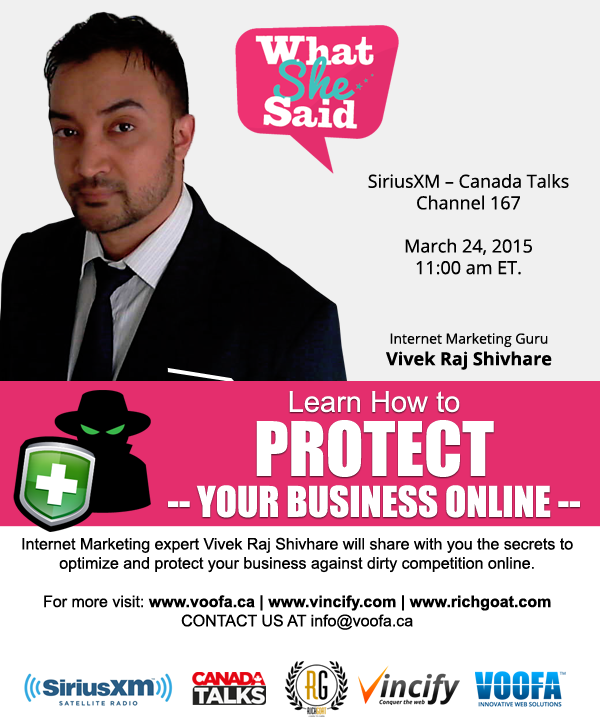 Looking to learn inside out about internet marketing? Want to take your business to the next level online? We have all the answers in this unique eBook written by Author Vivek Raj Shivhare. — Learn how to GAIN MORE CUSTOMERS ONLINE. This eBook unleashes all the secret tactics to boost your business online by driving massive traffic and converting into sales. Vivek has put together his experiences & expertise along with strategies that the top internet marketers have been using to build their multi-million dollar empire in this eBook. Whether it is selecting the right domain name, hosting, designing your website, social media, search engine optimization or creating a series of online sales funnel. Learn the most effective technique to make a sale and make your customers keep coming back for more! At WhatSheSaid, we are offering 20 Free Copies of this soon to be launched eBook. Just follow the instruction given below and grab your FREE copy. The 10 Step Formula to Kickstart Your Business Online!